Goodbye to May, Hello June! Summer is here and we know you're ready to kick off summer vacation. 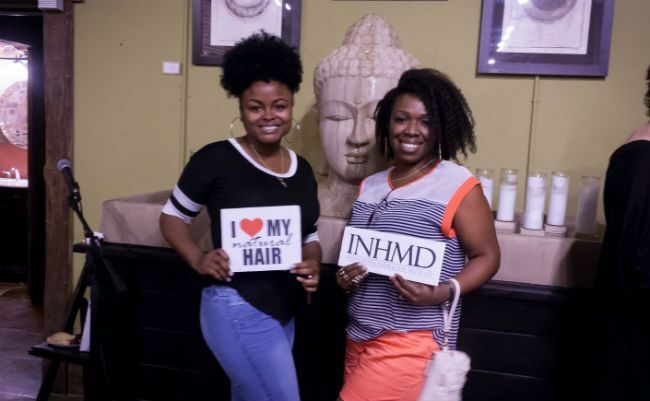 Jump start your summer vacation by celebrating your love for natural hair with one of these June natural hair meetups. If you live in the Conyers vicinity, become part in the first annual Natural Hair Growth expo. This event welcomes naturals at all stages, but especially geared to those struggling to grow long, healthy hair and maintain their length. Spend the afternoon chatting with other naturals and participate in events to win prizes. Get your ticket here. Are you an aspiring hairstylist who needs to learn the basics of caring for natural hair? Here is your opportunity to further your education. You will enjoy an afternoon with certified professionals learning about natural hair terminology, tools and the importance of curl definition. Purchase a ticket to reserve your spot. Join the natural hair discussion for the Authentically Me Natural Hair Meetup. Talk anything about natural hair from hair care, products and even politics of natural hair. You will also hear testimonials from other naturals and their experience on having a natural hair journey. Come join the community--purchase your ticket here. If you missed the BSW Natural Hair Meetup in April, you have a second chance--the BSW Natural Hair Meetup of Hartford, CT is back! Come chit-chat and build a network with other natural hair experts. Build relationships and promote your own brand and services. Meet with sponsors and partners here. As part of a series of natural hair events this year, Nappywood 365 is now in Los Angeles. You will get the opportunity to spend the evening with other naturals in the community that supports and embraces natural textured hair. Be part of the growing natural hair community in Los Angeles and network with other naturals in the West Coast. Get more info here. Dying to know the secret behind a bomb twist-out? Get all the details at the Twist and Talk ATL event. Discuss and ask questions about technique, tools and products, and maintenance for your twist-out. You’ll even have the chance to practice twist outs on your own hair. Purchase your ticket here. Be ready for an afternoon of pure fun and entertainment. This year’s Charleston Natural Hair Expo will include activities such as vendor shopping, door prizes, and educational and demonstration classes to natural hair care and styling. This event will also feature talks from natural hair bloggers and vloggers for a natural hair discussion panel. For tickets and more info, click here. Healthy hair equals a healthy lifestyle. Sit down with natural hair and health experts and doctors to discuss all your questions and concerns about health and natural hair. To purchase your admission, or for more info, click here. With over twenty years of experience, master instructor and celebrity stylist, Soft-Sheen Platform Educator, D'Lonzo, educates you in this in-depth seminar on various hair textures. He will guide you through the terminology and science of healthy natural hair care. This event is designed for parents of children with textured hair. To learn more or to purchase your ticket, click here. Are you attending any natural hair meetups this month?